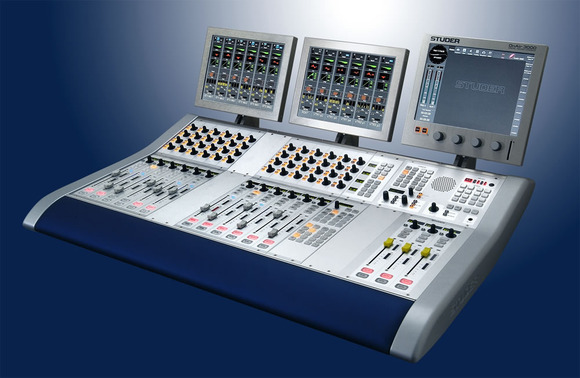 POTTERS BAR, United Kingdom – In a crowning achievement, Studer recently sold OnAir 3000 digital consoles to some of the world’s most prestigious broadcasting companies, and in the process, sales of the OnAir 3000 have now surpassed the 1,000 mark—a testament to the product’s popularity in even the most demanding broadcast applications. Recent purchases of OnAir 3000 consoles include: the BBC (British Broadcasting Corporation), the largest broadcasting organization in the world; Rede Globo of Brazil, the largest television network in Latin America and the third largest network in the world; the Danish Broadcasting Corporation, the national broadcaster for Denmark; TRT (Turkish Radio and Television Corporation), the national public broadcaster for Turkey; ERTU (Egyptian Radio and Television Union), which runs the internationally-recognised television station Nile TV. The Studer OnAir 3000 features a wide range of compact and elegant control surface modules and incorporates Studer’s patented “Touch-n-Action” philosophy, using colour GUI screens. The OnAir 3000 design is based on a completely modular desk and a new DSP engine. The fader module includes six fader strips, and up to eight fader modules may be fitted, giving a maximum console size of 48 faders. Layout options range from a highly comprehensive engineer-operated continuity console to a single fader panel for DJ and newsroom use or even a PC-operated system with no physical desk controls.